the Crowdstacker website at www.crowdstacker.com. 1.2.5. "you" or "your" mean a user of the Crowdstacker Platform and the services provided through the Crowdstacker Platform. 2.1. Where you apply for an Innovative Finance ISA you will additionally be bound by clauses 2 to 9 of these Investor T&Cs which will apply to your Innovative Finance ISA. 2.2. Your Innovative Finance ISA will be managed by Crowdstacker. Crowdstacker has been registered with HM Revenue and Customs as a manager of Innovative Finance ISAs and has been approved under the ISA Regulations as an ISA manager. 2.3. Your Innovative Finance ISA will be registered in your name. 2.4. Your Innovative Finance ISA will be and must remain in your beneficial ownership and it must not be used as security for a loan. 2.5.2. You must be a resident in the United Kingdom for tax purposes or, if not so resident, either perform duties which, by virtue of Section 28 of Income Tax (Earnings & Pensions) Act 2003 (Crown employees serving overseas), are treated as being performed in the United Kingdom, or you must be married to, or in a civil partnership with, a person who performs such duties. 2.5.3. You must inform us if you cease to be resident in the United Kingdom for tax purposes or to perform such duties or be married to, or in a civil partnership with, a person who performs such duties. 3.1. Your application for an Innovative Finance ISA must be made electronically on the Crowdstacker Platform, or in writing and must be made using our Innovative Finance ISA application form. All applications are subject to acceptance by Crowdstacker. 3.2. We may require you to provide additional information to that provided in the Innovative Finance ISA application form for the purposes of opening the Innovative Finance ISA. 3.3. We will carry out identity and fraud checks on you using credit reference agencies such as CreditSafe or Equifax or Experian. We use our own internal guidelines and policies when assessing applications. If we cannot get adequate information from the credit reference agency then we will ask you to send us copies of the relevant passports or other identification documents plus a utility bill and anything else that we may require. 3.4. Accepted Innovative Finance ISA applications may not be withdrawn unless cancellation rights apply and are exercised in accordance with the rules of the Financial Conduct Authority as are in force from time to time. 3.5. Where accepted, the Innovative Finance ISA will be registered in your name and in the name of Crowdstacker as the manager of your Innovative Finance ISA and it will have a unique account number and the address of the Innovative Finance ISA will be the address set out in your application form. 3.6. We will notify you by email or letter once your Innovative Finance ISA has been opened. 4.2. There are limits on the amounts that you can subscribe or invest in an Innovative Finance ISA in each tax year. 4.3. You cannot subscribe or invest in more than one Innovative Finance ISA in each tax year at any one time. 5.1. In our capacity as Custodian, we hold all cash in connection with the Innovative Finance ISA. On opening the Innovative Finance ISA your cash will be held with the Custodian while you decide what investments to invest in. 5.2. We do not pay interest on any cash balances we hold in a client account. and we will make payment to you within 30 days of your instruction. 5.3.4. You have no withdrawal rights in relation to the non-cash Innovative Finance ISA investments that you have made. 6.1. You can ask us to accept a transfer of an existing cash ISA or stocks and shares ISA. 6.2. The minimum amount that we will accept for a cash ISA transfer is £100. 6.3. In relation to a stocks and shares ISA, your existing ISA manager will have to encash your stocks and shares ISA and the minimum amount that we will accept for an encashed stocks and shares ISA is £100. 6.4. We do not charge for arranging a transfer of an ISA but the existing ISA manager may charge you for the transfer. 6.5. If you transfer more than one ISA from previous tax years to Crowdstacker, we will place all previous tax years cash holdings in a single bank account with the Custodian. This means that you will not be able to distinguish between your previous tax years holdings when viewing your holdings. 7.1. Your Innovative Finance ISA is not transferable in part to another ISA manager in respect to current year investments. 7.2.  Your Innovative Finance ISA is not transferable in whole to another ISA manager in respect to current year investments where there are non-cash investments (Bonds and/or Loan Notes) held within the Innovative Finance ISA. 7.3. Your Innovative Finance ISA is transferable in part or whole to another ISA manager in respect to previous years' investments but only in respect to cash investments held within the Innovative Finance ISA. 7.4.  Your Innovative Finance ISA is transferable in whole to another ISA manager where only cash is held within the Innovative Finance ISA and all the current year subscriptions are to be transferred to another ISA manager. Generally only cash will be held within your Innovative Finance ISA because your Bonds and/or Loan Notes have matured or have been liquidated. 7.5.3. you may stipulate the transfer period which may not be less than 30 days. 8.1. You have the right to close your Innovative Finance ISA whenever you want. To close your Innovative Finance ISA you must provide us with written instructions to do so. 8.2. Crowdstacker has the right to close your Innovative Finance ISA and will only exercise this right at our entire discretion were it is necessary to do so. We will not give you less than 30 days' notice of the intended closure of your Innovative Finance ISA. 8.3. Where Crowdstacker is notified of your bankruptcy, Crowdstacker will take action to close your Innovative Finance ISA with effect from the date that the trustee in bankruptcy's appointment takes place. 8.4. Crowdstacker will close your Innovative Finance ISA upon Crowdstacker's receipt of written notice of your death. The tax benefits of your Innovative Finance ISA cease on your death such that future interest payments will not be exempt from tax. 8.5. Where your Innovative Finance ISA is to close and there are outstanding Bonds and/or Loan Notes held within the Innovative Finance ISA, Crowdstacker will take steps to encash all Bonds and/or Loan Notes held within your Innovative Finance ISA, unless agreed otherwise with you. Bonds and/or Loan Notes are illiquid by their nature and there may be no active market for their sale. We will take reasonable steps to encash your Bonds and/or Loan Notes within a 30 day period, but the encashment value is likely to be less than the amount you initially subscribed or invested in your Bonds and/or Loan Notes. 8.6. Where your Innovative Finance ISA is to close and there is only cash held within your Innovative Finance ISA (either because any Bonds and/or Loan Notes held within the Innovative Finance ISA have been repaid or encashed), the Custodian will make payment to you. 8.7. Crowdstacker agrees to notify you if by reason of any failure to satisfy the ISA Regulations, the Innovative Finance ISA has or will become void. 9.1. Crowdstacker is entitled to delegate its functions and responsibilities under the Investor T&Cs but will only do so if Crowdstacker is satisfied that the person to whom Crowdstacker delegates such functions and responsibilities is competent to carry them out. 9.2. Crowdstacker will not be liable for the negligence or misconduct of such delegate provided always that Crowdstacker does not exclude or restrict liability owed to you by Crowdstacker under the ISA Regulations. 10.1. Where you do not apply for an Innovative Finance ISA you will not be bound by clauses 2 to 9 of these Investor T&Cs which only apply to those persons who apply and open an Innovative Finance ISA. 10.2. By accessing and using the Crowdstacker Platform you agree to these Investor T&Cs. 10.4. Each of the Bonds or Loan Notes sets out the agreement between the Investor and the Issuer. 10.5. In the event of any conflict between clauses 2 and 9 of the Investor T&Cs and the Debt Instrument, these Investor T&Cs prevails. 10.6. In the event of any conflict between clauses 10 and the remaining clauses of the Investor T&Cs and the Debt Instrument, the Debt Instrument prevails. 11.4. you must have a valid bank or building society account. 11.5. You confirm to Crowdstacker that all information provided to us in the course of opening the Crowdstacker Account and lending process is true and accurate in all respects. You will update us if any of the information you provide to us changes. 12.1. To open a Crowdstacker Account with us, you must provide a username and email address, and enter a password. These must be used in order to access certain restricted parts of the Crowdstacker Platform. Each time you access your Crowdstacker Account you will need to enter your username and password. Your username and password are personal to your Crowdstacker Account and are not transferable without our prior written consent. 12.2. Your username and password are the methods used by us to identify you and so you must keep them safe at all times. You are responsible for all information and activity on the Crowdstacker Platform by anyone using your username and password. If you authorise an employee, sub-contractor or agent to use your Crowdstacker Account, you will be responsible for their activity on the Crowdstacker Platform. Any breach of security, loss, theft or unauthorised use of a username or password must be notified to us immediately using the contact details on the Website. 12.3. As part of the process of opening a Crowdstacker Account, Crowdstacker will carry out identity and fraud checks on you using credit reference agencies such as CreditSafe or Equifax or Experian. Crowdstacker uses its own internal guidelines and policies when assessing applications but has complete discretion as to whether to allow you to be an investor on the Crowdstacker platform. If we cannot get adequate information from the credit reference agency then we will ask you to send us copies of the relevant passports or other identification documents plus a utility bill and anything else that we may require. If you do not provide all appropriate identification documents and do not satisfy our lending criteria you will not be able to lend on the Crowdstacker Platform. 12.4. As part of the process of opening a Crowdstacker account, you must complete our understanding of the risks questionnaire to make sure you fully understand the risks of lending on the Crowdstacker Platform. 12.5. In our role as Custodian we shall treat all money that we receive from you or hold on your behalf as client money in accordance with the Financial Conduct Authority's client money rules. Your money will be held in a Client Account pooled with other members' money, and you consent to such pooling of money. Your money will be held on an omnibus basis which means that if the bank where the client money has been deposited were to fail, your money would be affected by any shortfall in proportion to the value of your money relative to the total sum of client money held in this way. We will not be responsible for any acts, omissions or default of any bank with which your money is held and in the event of insolvency of such bank, we would not be liable for any shortfall unless we had failed to comply with any duty of care or obligation to which we were subject. 12.6. Client money held for you will be subject to internal control mechanisms and proper accounting procedures in accordance with the Financial Conduct Authority's client money rules. You are hereby notified, in accordance with the opt-in to the client money rules that we have elected to hold money received from person who are our customers in their capacity as investors under non qualifying crowdfunding debentures . 12.7. You hereby authorise us to transfer your money to the relevant issuer's account at the relevant time in accordance with clause 13.8. If the Bonds or Loan Notes are not issued by the Issuer, within 10 Business Days of the relevant closing date you are free to authorise us to return your money to you. 12.8. You agree not to adapt or circumvent the systems in place in connection with the platform, nor access the platform other than through normal use of it. 12.9. We reserve the right not to act on your instructions where we suspect that the person logged into your Crowdstacker Account is not you or we suspect illegal or fraudulent activity or unauthorised use. 13.1. Once we have agreed to promote an issuer's bond or loan note on the Crowdstacker Platform, an Investment Summary page will be displayed on the Crowdstacker Platform. The Investment Summary page will display the Key Commercial Terms. 13.2. Once the Investment Summary page is posted on the Crowdstacker Platform, you will be able to make an application to subscribe for Bonds or Loan Notes by "applying to invest" on the Crowdstacker Platform and following through the step by step investing process. You will need to ensure you have cleared funds available in your account. 13.3. The Investment Amount cannot be less than the Minimum Amount as set out in the Key Commercial Terms and cannot be greater than 20% of the higher of (i)the Target Raise or (ii) the total subscription monies of the Bonds or Loan Notes or (iii) the total amount subscribed under Comparable Bonds or Loan Notes. 13.4.3. Crowdstacker has not withdrawn the Bonds or Loan Notes from the Crowdstacker Platform. If any of the above conditions are not satisfied the Issuer shall not be entitled to issue any Bonds or Loan Notes to Applicants. 13.5. Where the Issuer does not issue Bonds or Loan Notes to any Applicants, Crowdstacker shall promptly inform the Applicants that their Applications have not been successful. 13.6. The Issuer authorizes Crowdstacker to act as registrar for the purposes of the issue of the Bonds or Loan Notes and the maintenance of the register of Investors. 13.7. Where applicable, Crowdstacker will be responsible for creating and sending to the Investors Certificates in either written or electronic form. 13.8. On issuance of the Bonds or Loan Notes, the subscription monies received from the Investors will then be transferred from the Client Account to the Issuer's bank or building society account or other account as agreed. Once the Bonds or Loan Notes have been issued, they cannot be cancelled for any reason. 13.9. Each of the Bonds or Loan Notes will be for the period specified in the Key Commercial Terms applying to it. 13.10. Except in relation to your Innovative Finance ISA, we may suspend your account at any time if we believe it is appropriate in order to comply with our legal obligations. 14.1. Notwithstanding any other clause in these terms, in certain circumstances and in its absolute discretion, Crowdstacker (acting as agent on behalf of the Investors) may agree with the Issuer to restructure the Bonds or Loan Notes and amend the Debt Instrument and/or Key Commercial Terms so as to increase the term by up to one year, with a corresponding increase in the interest rate of up to 1.5 times the Interest Rate and this right to vary will apply unless otherwise specified in the Key Commercial Terms in the "Variation Term" section. 14.2. Where we believe that an agreement to restructure the Bonds or Loan Notes and amend the Debt Instrument and/or Key Commercial Terms is in the best interests of the relevant investors, and intend to amend the terms of the Debt Instrument and/or Key Commercial Terms in accordance with clause 14.1 above, we will notify you of our intention to amend not less than 20 Business Days before making such amendment. 14.3. You agree that we will be acting as agent on your behalf in negotiating and agreeing any amendments to the Debt Instrument and/or Key Commercial Terms with the Investor and in entering into any amendment to the Debt Instrument and/or Key Commercial Terms. 14.4. You hereby appoint Crowdstacker (for the duration of your membership of Crowdstacker) as your agent with full power and capacity to carry out amendments under this clause 14 without your specific agreement. You agree that you will then be bound by those changes. You agree and acknowledge that Crowdstacker shall take on no liabilities, obligations or rights under the Debt Instrument and/or Key Commercial Terms as a result of such agency, and you agree that you will continue to be solely bound by the rights and obligations of the investor under the Debt Instrument and/or Key Commercial Terms (as amended). 15.1. Outside of Crowdstacker's role as manager of any Innovative Finance ISA, our principal role is to perform introductory functions on behalf of issuers and investors (or in the case of peer to peer loans, borrowers and lenders) in in order to bring together prospective issuers and investors (or in the case of peer to peer loans, borrowers and lenders) , to provide a stream-lined process for investing in bonds and/or loan notes (including the development of standard form Debt Instruments) acting as registrar, and to facilitate the payment and collection of sums due under or in connection with those bonds or loan notes (including certain limited actions upon an issuer's default as set out in these Investor T&Cs). 15.2. Save as set out in clause 14 of these Investor T&Cs in connection with any amendments that we may make to the Debt Instrument or Key Commercial Terms in your best interests when acting as agent on your behalf, we will not perform any management functions on your behalf; you retain complete control and discretion over whether or not to subscribe for bonds or loan notes from issuers, and over all other aspects of your participation in Crowdstacker and bonds or loan notes subscribed through it. Nothing we do and nothing on the Crowdstacker Platform is intended to operate or be construed as advice or recommendation by us to subscribe for particular bonds or loan notes. 15.3. You must form your own opinion regarding the creditworthiness of an issuer and undertake your own research, analysis and assessment of each issuer and, where appropriate, seek your own independent financial advice. 15.4. Where we have acted in good faith, we accept no responsibility and disclaim all liability for any information about an issuer made available to prospective investors through the Crowdstacker Platform. We may from time to time update or amend at any time issuer information (including between when the bonds or loan notes are first launched on the Crowdstacker Platform and when they are issued, and during the term of any bonds or loan notes). 16.1. Except under clause 16.2, Crowdstacker will not charge you any fees for performing its role under clause 15. 16.2. Where there has been a transfer of Bonds or Loan Notes under the Debt Instrument to another investor, we will charge you a transfer fee of £0 per transaction on the date of the transfer. This transfer fee will be deducted from your Crowdstacker account when you receive payment from the investor who has purchased your Bonds or Loan Notes. 17.1. The payments payable to you with respect to your Bonds or Loan Notes will be set out in the Debt Instrument and the Certificate and are available for viewing in the "My Account" section of the Crowdstacker Platform. 17.2. We will endeavour to collect the payment amounts as set out in the Debt Instrument and Certificate from the Issuer. 17.3. All payments and interest accrued will be paid to your nominated bank account or where you have an Innovative Finance ISA to your Innovative Finance ISA. 17.4. All payments in relation to bonds and loan notes not held in an Innovative Finance ISA (to which ISA Regulations apply) will be subject to a withholding of income tax. It is your responsibility to account for any additional income tax and other personal taxes that may be payable to the appropriate authorities. 17.5. We will provide an annual statement of interest earned for tax purposes. 18.1. Where the Key Commercial Terms indicate that the Bonds or Loan Notes have the benefit of Security, each of the Bonds or Loan Notes will be secured under a Security Document between the Issuer and the Security Trustee, in respect of the debt due under the Bonds or Loan Notes. If the Issuer fails to make payments under the Bonds or Loan Notes or is in material breach of the Debt Instrument, you agree we may instruct the Security Trustee (as security holder on your behalf and that of other investors in the Bonds or Loan Notes) to enforce the security constituted by the Security Document. 18.2. Where the Issuer fails to make payment or is otherwise in default under the Debt Instrument, you agree that the Security Trustee will act on your behalf as security agent in respect of any of the Issuer's liabilities to you under the Bonds or Loan Notes. All communications to the Issuer in connection with any such security will be made through the Security Trustee. 18.3. Where the Security Trustee holds a debenture (e.g. a fixed and floating charge over the Issuer), it will generally operate to secure all monies due from you to all Investors on the Crowdstacker Platform from time to time, and generally be assignable by the Security Trustee to any other third party who may acquire all of the rights of Investors under the related Debt Instrument. 18.4. Where we or the Security Trustee has been provided with information by a relevant Issuer, we or the Security Trustee may provide to you as Investor certain information about the assets of that Issuer and/or an asset register detailing such assets together with estimated forced re-sale value of such assets on enforcement. In such circumstances, any asset valuation provided will be indicative of the value of the asset or assets only and realisation on enforcement in connection with the sale of such asset or assets may be lower (or higher) than the value set out in the asset register. 18.5. The Security Trustee will hold the assets charged under the Security Documents upon trust for itself and for all Investors who hold Bonds or Loan Notes issued by the Issuer. From time to time the Security Trustee performs (before or after any enforcement under the terms of the Security) all obligations, rights and benefits given to the Security Trustee under the Security Documents and by any future security that the Security Trustee may take in respect of the debt due under the Bonds or Loan Notes or under any document entered into pursuant to any assets of the Issuer. The Security Trustee shall have certain powers and discretions conferred upon it as trustees and may also rely on (i) any representation, notice or document believed by it to be genuinely correct and appropriately authorised and (ii) any statement made by any director, authorised signatory or employee of any person regarding any matters which may reasonably be assumed to be within his knowledge or within his power to verify. 18.6. If the Security Trustee is required to enforce any Security Documents, and any proceeds of recovery become available (after allowing for all of the Security Trustee's costs of enforcement), it is possible that the available proceeds will not be sufficient to discharge all obligations owed by the Issuer at that time to all Investors on the Crowdstacker Platform. If that is the case, then the Investors shall only be entitled to recover their proportionate share of such recoveries as determined by the Security Trustee. There may be other creditors of the Issuer that have claims that may be recovered in priority to those of the Security Trustee and the Crowdstacker Investors, so the existence of the Security Document must not be considered to be a guarantee of repayment in the event of failure by the Issuer in meeting its payment obligations. 18.7. You agree that the Security Trustee shall be entitled to be paid and reimbursed out of the proceeds of any recovery under the Security Documents and that you will pay all reasonable costs incurred by the Security Trustee in enforcing the security or in complying with any instructions from you in connection with any Security Documents. To the extent that such costs cannot be recovered by the Security Trustee from the relevant Issuer you will only be responsible for payment of such costs out of the proceeds of any recovery and you will not be required to make any additional contribution to such costs over and above the Investment Amount. 19.1. If the Issuer fails to make a payment or only partially pays, the amount due to you and the other Investors, we (ourselves or through an agent acting on our behalf) will contact the Issuer and if our attempts to collect the funds fails 2 Business Days after the payment was due, the Issuer's account will be treated as an overdue account and we will continue to attempt to collect the funds. We may refer the missed payment to a debt collections agency (the "Collections Agency"), who will attempt to collect the money on your and any other Investors' behalf and you authorise us to use the Collections Agency on your behalf. Any fee that the Collections Agency charges for this initial debt chasing will be added to the investment amounts that they are seeking to collect and will not reduce the amount available for distribution to investors. 19.2. If the Bonds or Loan Notes are placed into default, Crowdstacker will notify you that the outstanding Bonds or Loan Notes may be novated to the Security Trustee or to an affiliate company of the Security Trustee. Where we act as Security Trustee we may need to novate the debt to one of our affiliate companies to enable us to commence legal proceedings against the Issuer for the full amount outstanding. The Security Trustee or an affiliate company of the Security Trustee will then investigate the amount of debt that is likely to be successfully recovered through the courts. If the Security Trustee or an affiliate company of the Security Trustee deems it appropriate, it will instruct solicitors to file court claims to recover the debt. The Security Trustee or an affiliate company of the Security Trustee will pay back to investors in their proportionate share any funds successfully recovered, less its costs incurred during that recovery. The Security Trustee or an affiliate company of the Security Trustee will act in a fair and equitable manner to achieve recovery for all affected investors, which may include extending payment terms or selling the debt to a third party. 19.3. Where the Bonds or Loan Notes have the benefit of Security, the Security Trustee will take the steps outlined in clause 18. 19.4. We will keep you up to date with the progress of the efforts to collect missed payments and to recover defaulted debt, and such progress can be viewed in the My Account section of the platform. 20.1. If you no longer want to be a member of the Crowdstacker Platform and provided you have no outstanding loans or Bonds or Loan Notes, you can let us know and we will end your membership. 20.2.5.4. to cause annoyance, inconvenience or needless anxiety. 20.3. Termination of your membership of the Crowdstacker Platform will not necessarily result in a termination of any Bonds or Loan Notes that you hold. 21.1. Membership of the Crowdstacker Platform does not in any way constitute an obligation on us to find lending opportunities for you. 21.2. The information on the Crowdstacker Platform does not constitute advice, recommendation or an endorsement of bonds or loan notes or issuers. 21.3. As an investor, you cannot also be an issuer on the Crowdstacker Platform with bonds or loan notes outstanding, except where you are acting as the director or the proprietor of a business borrowing money and want to act as an investor in a different capacity. 21.4. We endeavor to display accurate data of the Bonds or Loan Notes, but cannot guarantee that the information is error free. 21.5. We do not guarantee that Bonds or Loan Notes listed for transfer will be bought by other investors or the time it will take to complete any transfers of bonds or loan notes on the Crowdstacker Platform. 21.6. You accept that any personal guarantee in support of bonds or loan notes shall be subject to normal legal risks and limitations and that Crowdstacker will not have ensured that any individual providing such a guarantee has been independently advised on the impact of such a personal guarantee. Such guarantees can be open to challenge in circumstances where the individual granting the guarantee has been subject to undue pressure or influence from a third party. 21.7. We shall not be liable to you for any loss or damage which you may suffer as a result of being a member of the Crowdstacker Platform or using the services provided through the Crowdstacker Platform, except where such loss or damage arises from our breach of the Investor T&Cs or was caused by wilful default or fraud by us or our employees. We are not responsible for any breach of Investor T&Cs from circumstances outside our reasonable control. Our total liability to you in connection with these terms and conditions, your membership of the Crowdstacker Platform and your use of the services provided through the Crowdstacker Platform shall not exceed the amount of money you have invested which gives rise to the liability. 21.8. For avoidance of doubt Crowdstacker (including in its role as Custodian) is not liable to you for the payment of interest or the repayment of any bonds or loan note that is facilitated through the Crowdstacker Platform, but our obligations are limited to endeavouring to collect the payment amounts each month or as otherwise set out in the Debt Instrument and Key Commercial Terms entered into with the Issuer. 21.9. All disclaimers, indemnities and exclusions to the Investor T&Cs shall survive termination of your membership of Crowdstacker for any reason. 21.10. Nothing in these terms and conditions shall limit our liability for personal injury or death. 21.11. For the purposes of the Financial Conduct Authority's rules, you are a retail client of Crowdstacker. 21.12. Crowdstacker is not covered by the Financial Services Compensation Scheme. However, you may be entitled to compensation from the Financial Services Compensation Scheme in respect of any money held by Crowdstacker on your behalf if the bank or credit institution holding the money becomes insolvent. Further information is available at www.fcsc.org.uk and we would advise you further if this event were to occur. 22.1. You shall be liable to us for any loss or damage suffered by us as a result of any breach of the Investor T&Cs or any Bonds or Loan Notes issues to you, or any unauthorised use of the Crowdstacker Platform. 22.2. You will also be further liable to us as contemplated by clause 18.7 in circumstances where a loan has the benefit of Security. 23.1. As between you and us, we own all present and future copyright, registered and unregistered trademarks, design rights, unregistered designs, database rights and all other present and future intellectual property rights and rights in the nature of intellectual property rights existing in or in relation to the platform. 23.2. If and to the extent that any such intellectual property rights vest in you by operation of law or otherwise, you agree to do any and all such acts and execute any and all such documents as we may reasonably request in order to assign such intellectual property rights back to us. 23.3. We do not warrant or represent that the content of the Crowdstacker Platform does not infringe the rights of any third party. 24.1. The content and information provided on the Crowdstacker Platform is directed solely at and is for use solely by persons, companies and businesses that meet the criteria set out in clause 11 and/or are members of the Crowdstacker Platform and the equivalent criteria set out in the Issuer T&Cs. The Crowdstacker Platform is not intended for distribution to, or use by, any person or entity in any jurisdiction where such distribution or use would be contrary to applicable law or regulation. 24.2. You are permitted to download and print content from this platform solely for your own personal use or in the course of your business to the extent required to use the services provided on this platform. Platform content must not be copied or reproduced, modified, redistributed, used or otherwise dealt with for any other reason without our express written consent. 24.3.  We are not responsible for content downloaded or posted by investors or issuers on the platform. We however reserve the right to edit or delete content downloaded or posted on the Crowdstacker Platform. 24.4. We will endeavour to allow uninterrupted access to the Crowdstacker Platform, but access to the Crowdstacker Platform may be suspended, restricted or terminated at any time. 24.5. You agree to use the Crowdstacker Platform only for lawful and authorised purposes and in a way which does not infringe the rights of anyone else or restrict or inhibit anyone else's use and enjoyment of the platform. 24.6. You agree not to use the Crowdstacker Platform or any information accessible on or obtained from it for the purpose of canvassing or soliciting any person or enticing any person away from Crowdstacker. 24.7. You warrant that you have taken all reasonable precautions to ensure that any data you upload or otherwise submit to the platform is free from viruses and anything else which may have a contaminating or destructive effect on any part of the Crowdstacker Platform or any other technology. 24.8. The content and material available on the Crowdstacker Platform is for informational purposes only and should not be regarded as an offer, solicitation, invitation, advice or recommendation to buy or sell investments, securities or any other financial services or banking product. If you are unsure about whether a product is suitable you should contact an independent financial advisor. 24.9. We accept no responsibility or liability for your use of content on the platform and such use is entirely at your own risk. While we take reasonable precautions to prevent the existence of computer viruses or other malicious programs on the Crowdstacker Platform, we accept no liability for them if they do exist. It is your responsibility to use, update and maintain appropriate antivirus software on your computer. 24.10. Information transmitted through the Crowdstacker Platform will pass over public telecommunications networks. We accept no liability if communications sent through the Crowdstacker Platform are intercepted by third parties or incorrectly delivered or not delivered. 24.11. The Crowdstacker Platform may contain links to third party websites. We accept no responsibility or liability for any material supplied by or contained on any third party website which is linked from or to the Crowdstacker Platform, or any use of personal data by such third party. 25.1.3. the My Account page on the Crowdstacker Platform and the rest of the Crowdstacker Platform would not be available for access by you. 26.1. We aim to provide a good service and to deal with you fairly. If you have any complaints we are ready to discuss them with you and see how we can help. Please write to us, email us or call us and we will seek to resolve your complaints effectively. 26.2. To help us resolve your complaints promptly please provide us with (i) your personal contact details, (ii) details of what has gone wrong and (iii) what you want us to do to resolve matters. 26.3.5. once we have made our decision, (i) explain to you promptly in a way that is fair, clear and not misleading our assessment of your complaint and our decision, (ii) we will let you know if we offer any remedial action or redress and (iii) comply promptly with any offer of remedial action or redress that we make to you which you accept. 26.3.7. (unless we have resolved your complaint within 3 Business Days) let you have a final written response within 8 weeks after receipt of your complaint either (i) accepting your complaint and where appropriate offering you redress or remedial action, or (ii) offering you redress or remedial action but without accepting your complaint or (iii) rejecting your complaint giving details for doing so. 26.4. If having resorted to the above approach you remain dissatisfied and would like us to review our decision please contact the Compliance Officer, Crowdstacker Limited, 1st & 2nd Floor Offices, 6 Victoria Street, St Albans, Herts, AL1 3JB or email [email protected] or call 020 7118 7570. 26.5. If you are dissatisfied with how your complaint has been addressed, you can refer complaints in relation to the services we provide to the Financial Ombudsman Service at: South Quay Plaza, 183 Marsh Wall, London, E14 9SR, or by calling them on 0800 023 4567. More information on the Financial Ombudsman Services can be found at www.financial-ombudsman.org.uk. 26.6. Your statutory and regulatory rights remain unaffected. 27.1. A waiver of any right under the Investor T&Cs is only effective if it is in writing and it applies only to the party to whom the waiver is addressed and to the circumstances for which it is given. 27.2. Any waiver by either you or us of any provision of the Investor T&Cs shall not be considered to be a waiver of any other or later breach of the same, of any other provision. 27.3. We may, in whole or in part, release, compound, compromise, waive or postpone, in our absolute discretion, any liability owed to us or right granted to us in the Investor T&Cs without in any way prejudicing or affecting our rights in respect of that or any other liability or right not so released, compounded, compromised, waived or postponed. 28.1. Notwithstanding that the whole or any part of any provision of the Investor T&Cs may prove to be illegal or unenforceable, the other provisions of the Investor T&Cs and the remainder of the provision in question shall continue in full force and effect. In relation to any illegal or unenforceable part of the Investor T&Cs, the parties hereto agree to amend such part in such manner as may be requested from time to time by any of the parties hereto provided that such proposed amendment is legal and enforceable and to the maximum extent possible carries out the original intent of the parties in relation to that part. 29.1. You confirm that the Investor T&Cs set out the entire agreement between you and us in relation to your use of the Crowdstacker Platform. 29.2. You confirm that you have not relied on any representation made by or on behalf of us or on any written statement, advice, opinion or information given to you in good faith by us. You confirm that you have been and will continue to be solely responsible for making your own independent appraisal and investigation of all risks arising under or in connection with the use the Crowdstacker Platform. 29.3. We may update or amend the Investor T&Cs from time to time to comply with law or to meet our changing business requirements. We may not always be able to give you advanced notice of such updates or amendments but we will always post them on the Crowdstacker Platform so that you can view them when you next log in. By continuing to use the Crowdstacker Platform, you agree to be bound by changes to the Investor T&Cs. 30.1. We may assign, transfer, novate or otherwise exercise any of our rights under the Investor T&Cs or through any company or other legal entity which is under our control or ownership. 31.1.2. in the case of email, at the time of transmission. 31.2. The addresses of the parties for the purposes of Bonds or Loan Notes or Debt Instruments or the Investor T&Cs are as set out in the Key Commercial Terms, or such other address as may be notified in writing from time to time by the relevant party to the other party. 32.1. The Bonds and/or Loan Notes and Debt Instruments and the Investor T&Cs and any disputes or claims arising out of or in connection with them or their subject matter or formation (including non-contractual disputes or claims) are governed by, and construed in accordance with, the law of England. 32.2. You irrevocably agree and so do we that the courts of England have exclusive jurisdiction to settle any dispute or claim that arises out of or in connection with the Bonds and/or Loan Notes and Debt Instruments and the Investor T&Cs or their subject matter or formation (including non-contractual disputes or claims).